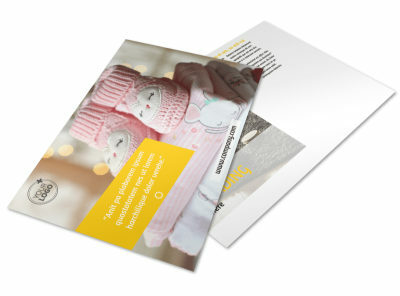 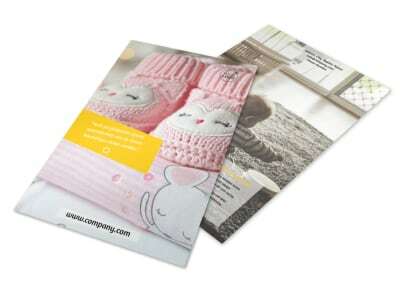 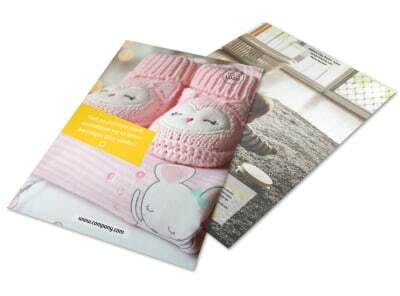 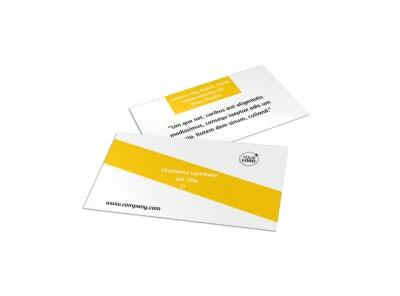 Customize our Baby Store Postcard Template and more! 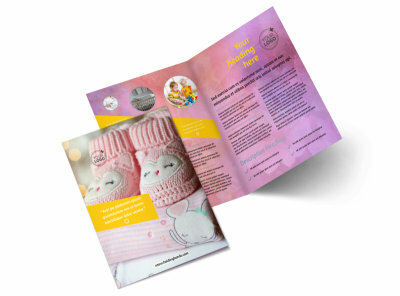 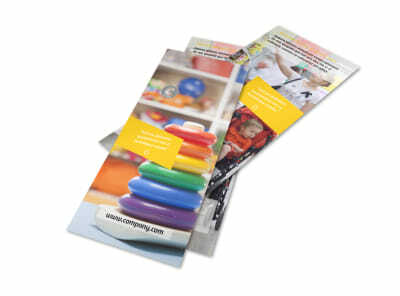 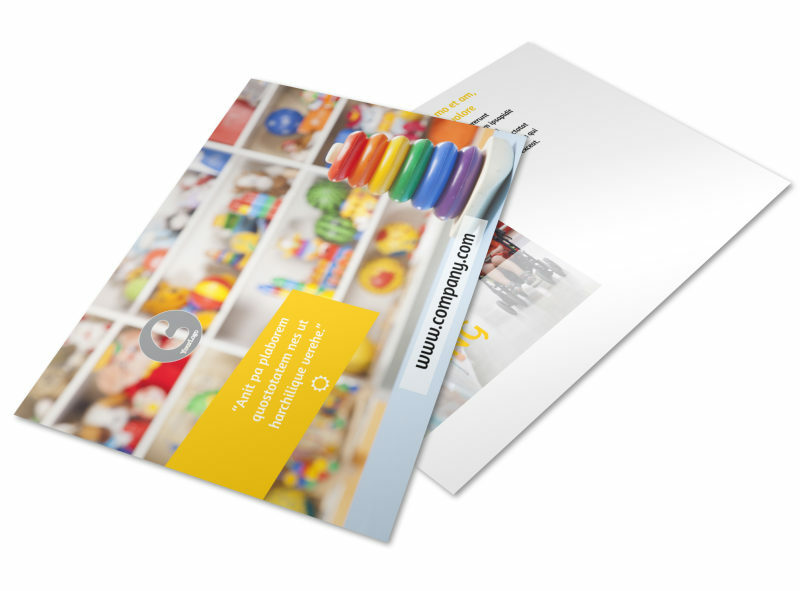 Let parents and expecting parents alike know about specials, deals, and sales your business is currently offering with baby store postcards. 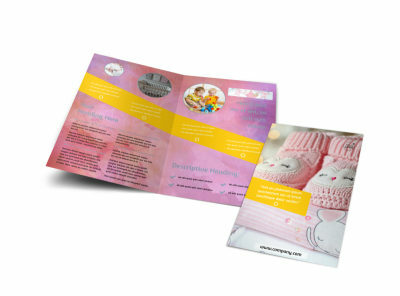 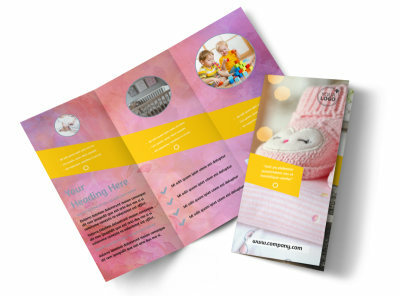 Use our online editor and customizable templates to upload photos, artwork, graphics, and more, and then print your postcards for targeted direct mail marketing--or let us handle the printing using premium ink and paper.